Have you heard of the growing popularity of 'smart home technology?' Curious if it might be right for you? In today's blog, we take a deep dive into what could be the home of the future. A smart home is a home that is equipped with network-connected products - usually controlled with a smartphone - that can control lights, temperature, security, entertainment, etc. Smart homes provide a great opportunity for innovation and advancement in technology. 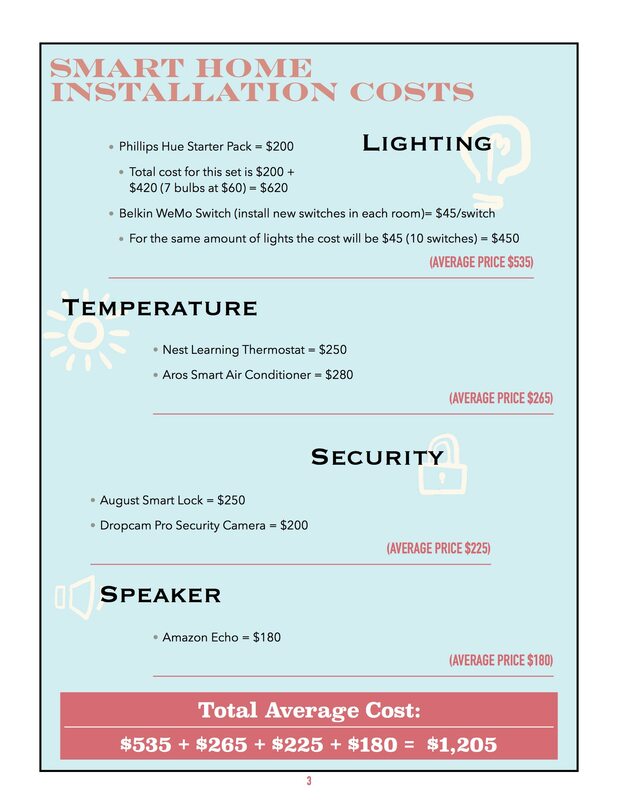 While this may be true, the benefits of smart homes have not necessarily outweighed the hefty cost of installing the technology to make a smart home possible. Let's take a look at the pros and cons of smart home technology. What is the cost to add smart home technology? With this cost, how much money can you expect to save each year? If this number is accurate, it would take you more than 12 years to get your money back. Now, that’s a long time...so, you ask, what makes this the right move for me? Well, it’s hard to put a number on convenience and comfort. This technology is designed to make your life easier (more convenient), more comfortable, and maybe even safer. If you have questions about smart home technology, or if we can ever assist you, please know that we're always here: Mike@MikeFreemanProperties or (512) 694-9769.